It didn't seem long since the last Thames Path walk, but it was three months (though we did walk a bit of it on our Grand Union Canal walk in April), so on a pleasant May day it was time to explore a bit more of the great waterway, and pick up a "free" bit of the Capital Ring too, during a walk from Kingston Bridge to Kew Bridge. 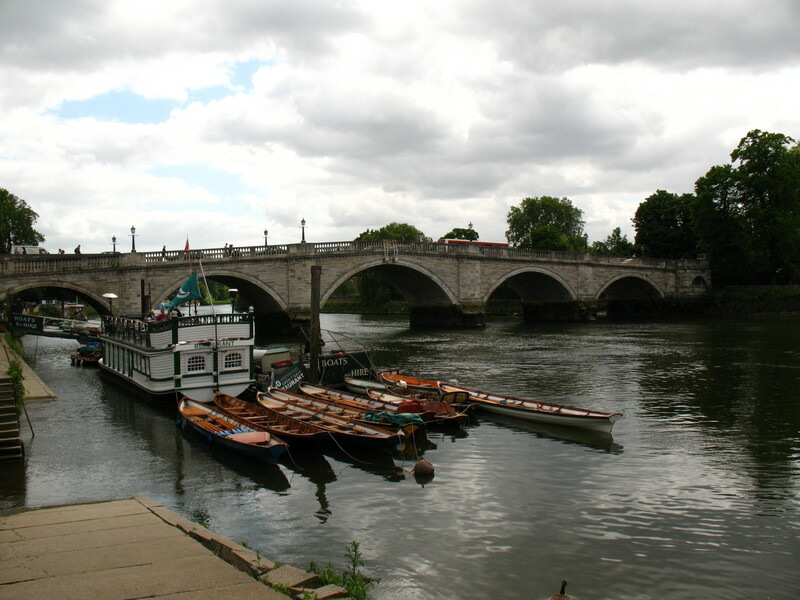 After the walk from Kingston railway station, we reach the Thames at Kingston Bridge, which carries the London Loop over the Thames - it was thus the third time we'd done the walk between the bridge and the railway station. 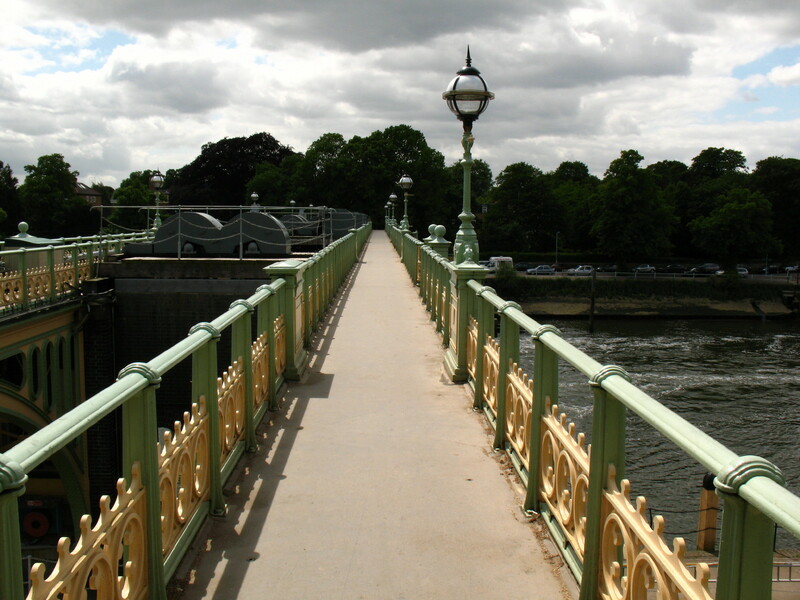 (Since today's walk, we've walked the Thames Path to here from Chertsey, and so this is the fourth time we've intersected with this bridge on a walk in only 13 months). 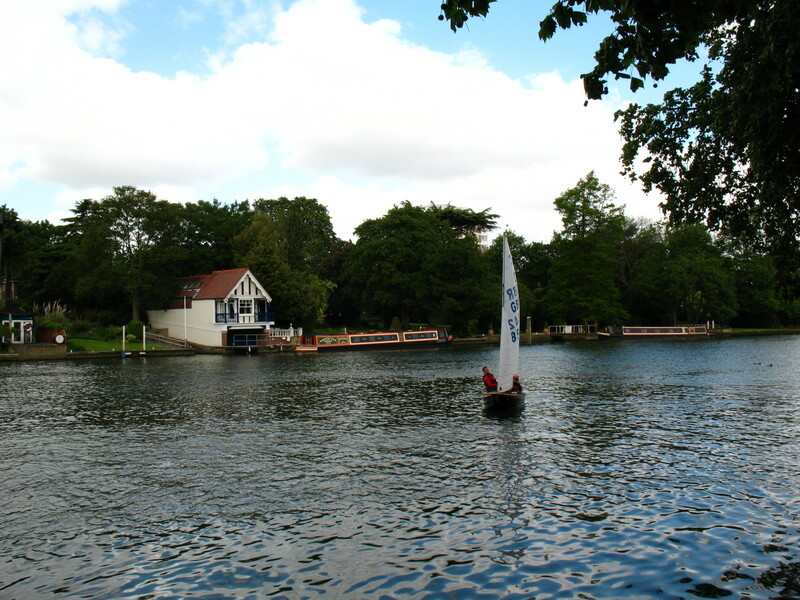 As we follow the east bank northwards, there were lots of sailing dinghies out enjoying the breeze. 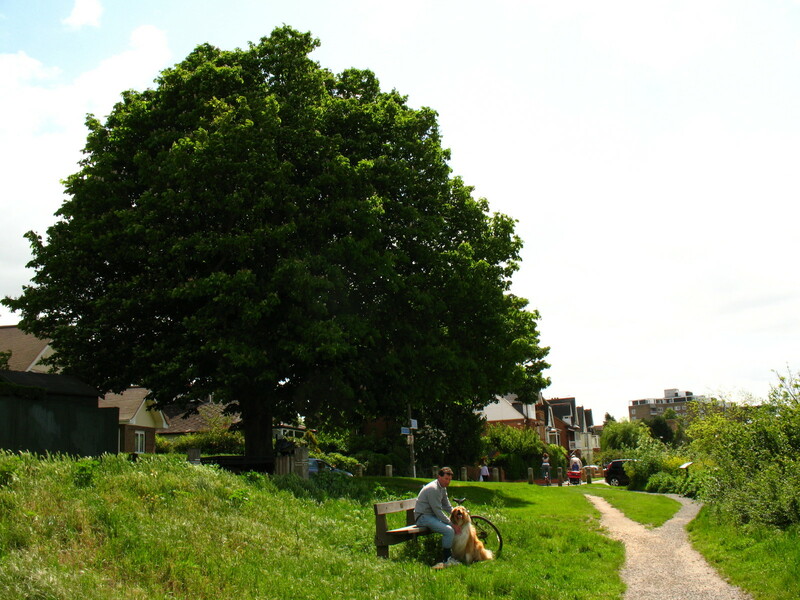 An elm tree known as "Half Mile Tree" was a local landmark on this spot for centuries. Its name indicates the approximate distance to Kingston. In its later years it was hollow inside, and it is said that a man could stand upright within its trunk. Later the trunk was filled with concrete in an attempt to preserve it. The elm was probably more than 500 years old when it was finally felled as unsafe in 1951, to be replaced a year later by this horse chestnut. We then reached Teddington Lock - or, more accurately, Locks, since there is a choice. 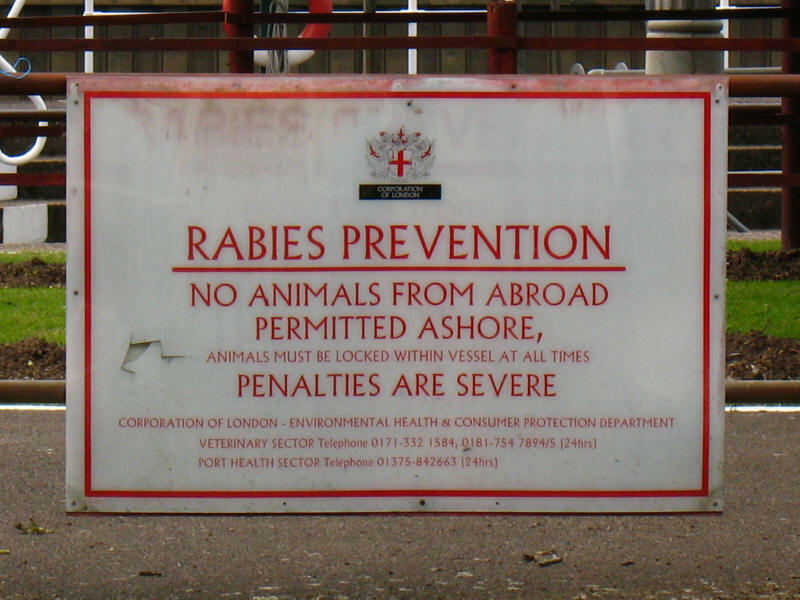 It is odd to see this notice so far from the sea, but when Richmond lock isn't in use, Teddington Lock is the first on the river and so might conceivably be the first footfall for overseas vessels. 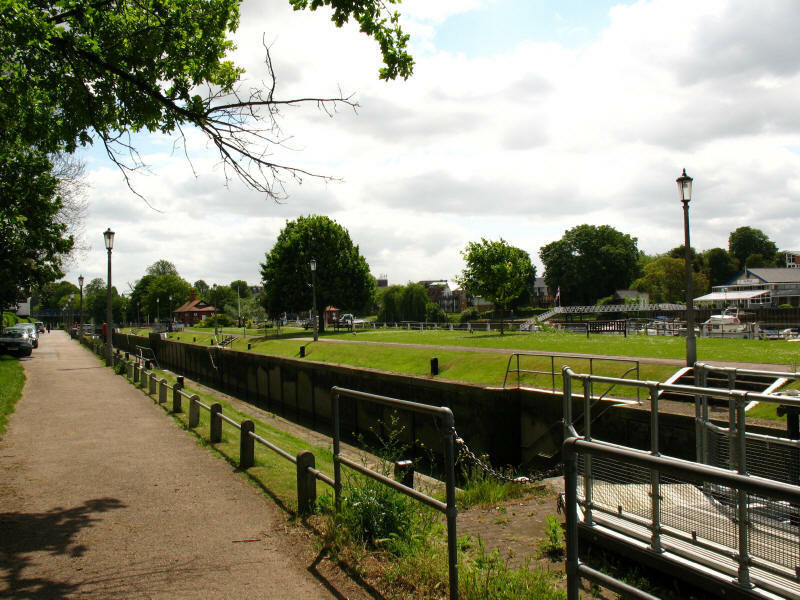 The big lock at Teddington is noticeable for its great length - appearing to be quite disproportionate to its width. 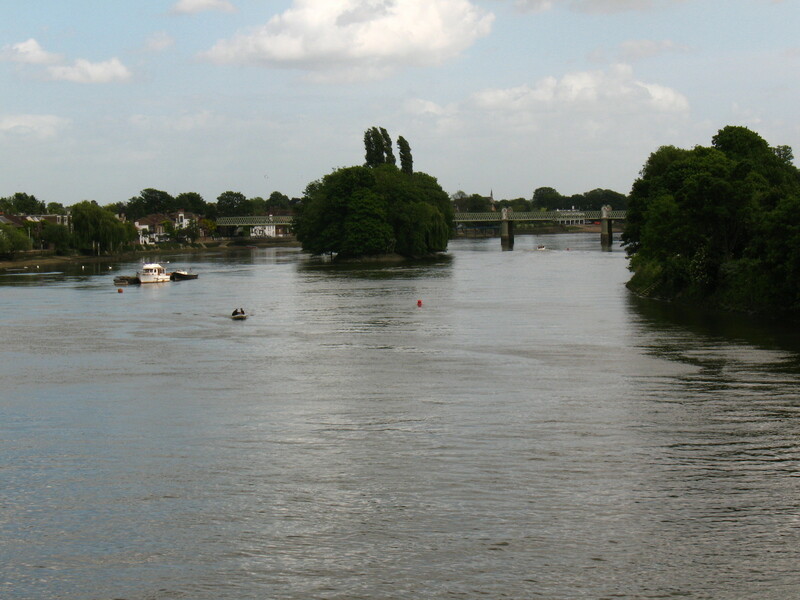 From here the Thames Path splits in two, following both banks; for the moment, we stick with the east bank. Ellie, perhaps waiting for the ferry to Twickenham, but our way continues along the east bank. A little further on, we look across the cattle-grazed Petersham Meadows, still deliberately flooded from time to time. The Star & Garter Home looks down. 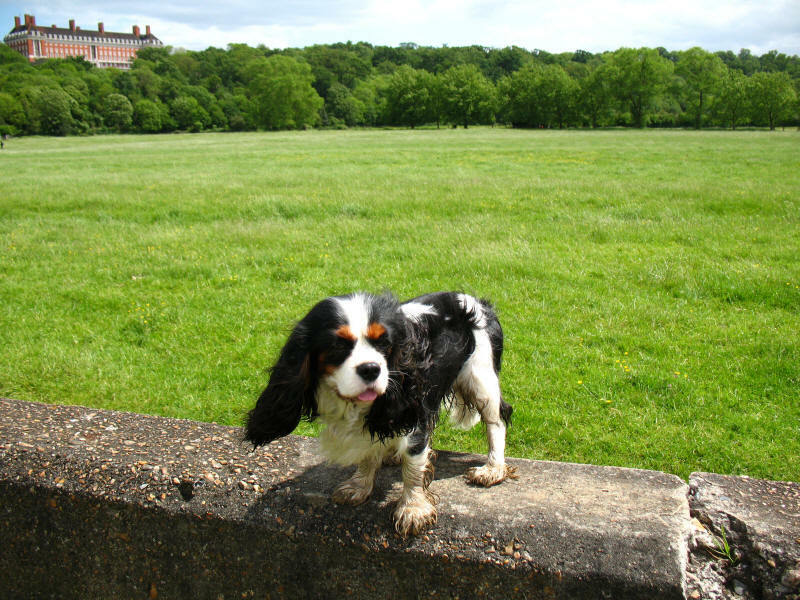 Ellie on the concrete flood wall in front of Petersham Meadows. 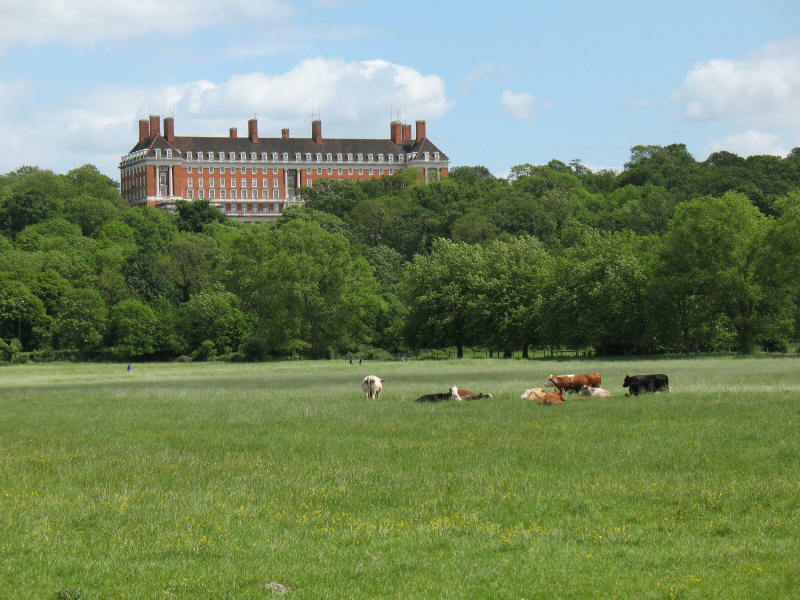 Walking alongside Petersham Meadows, the houses of Richmond start to come into view. As the path reaches the end of the meadow on this corner, we are joined by the Capital Ring path, which has come through Richmond Park. 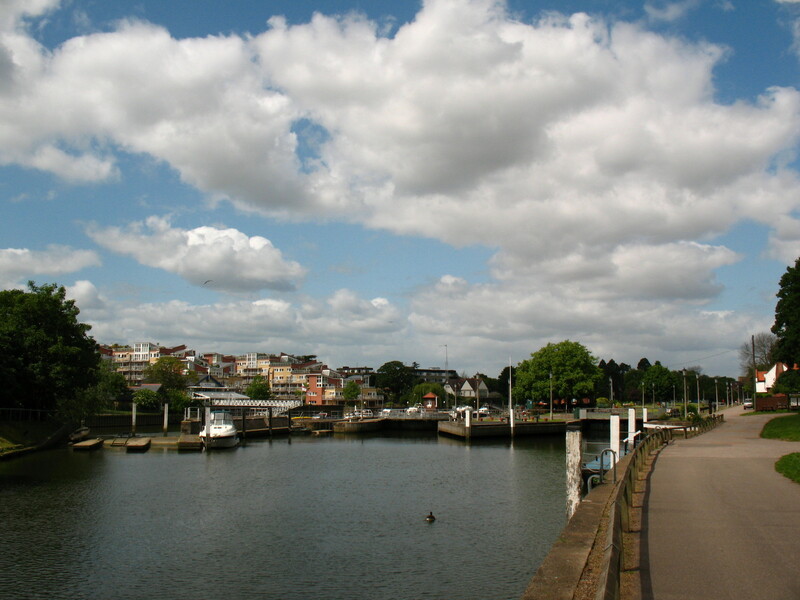 The riverfront at Kingston is a popular place to congregate and sit about watching the world go by. There are also lots of places to eat. Boats for hire just below Kingston Bridge. We then reach Kingston Lock. 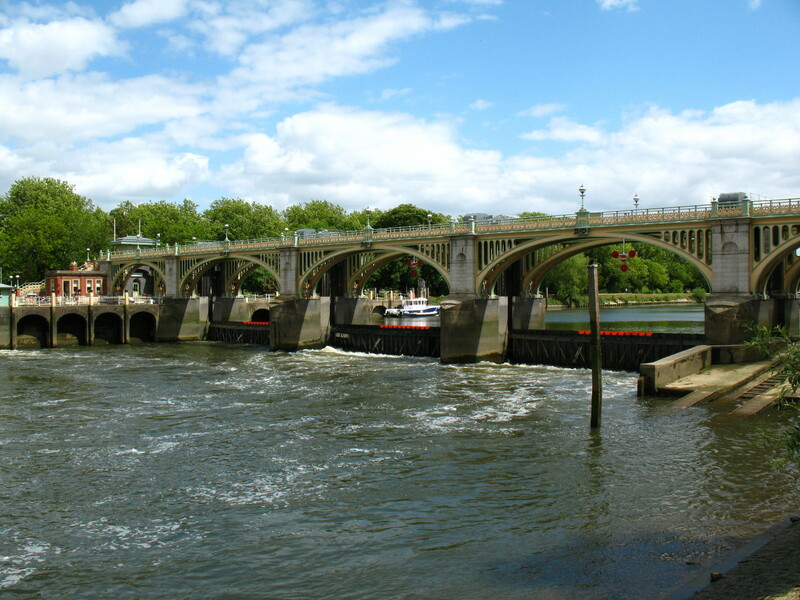 This is a semi-tidal lock, where weirs maintain the water levels upstream, but are overtopped at high tide, so boats use a conventional lock at lower states of the tide, but can pass through the arches of this bridge at high tide. 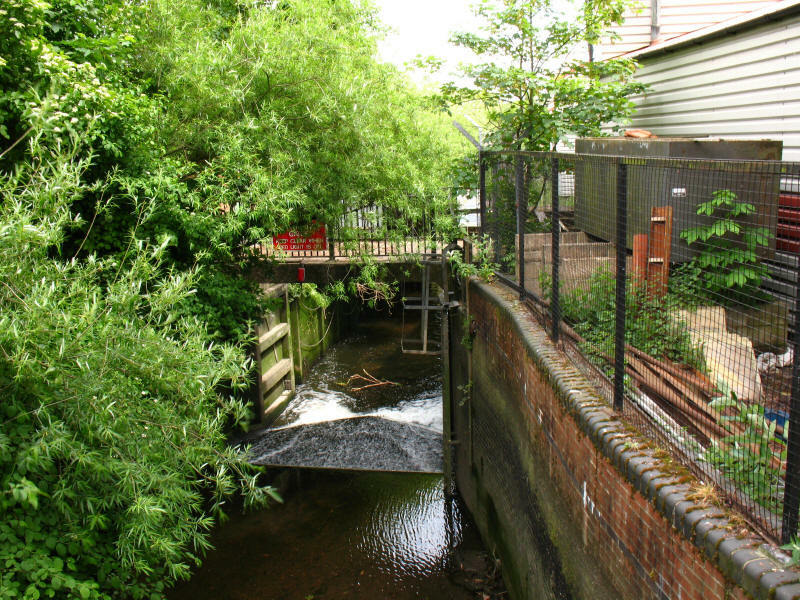 As we leave the banks of the Thames for a short diversion through Isleworth, we cross the River Crane, after travelling 13.5km from its source in Hayes, it is now only a few metres short of its outflow into the Thames. Briefly reaching the Thames again, an interesting variation on a commonly seen sign instructs us that there is to be no parking here as the crane is in constant use. 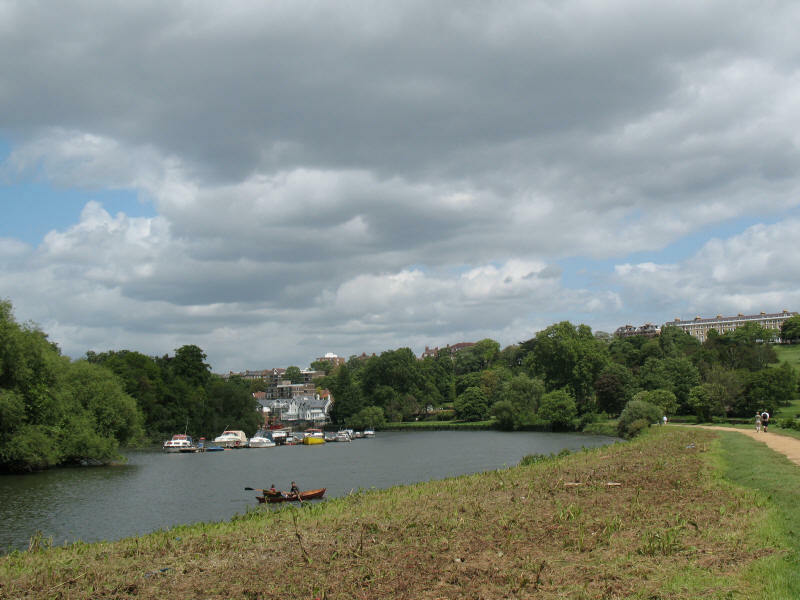 In the distance is the tower of Isleworth church, the tower now being attached to a modern building as the remainder of the church was destroyed in an arson attack during the Second World War. 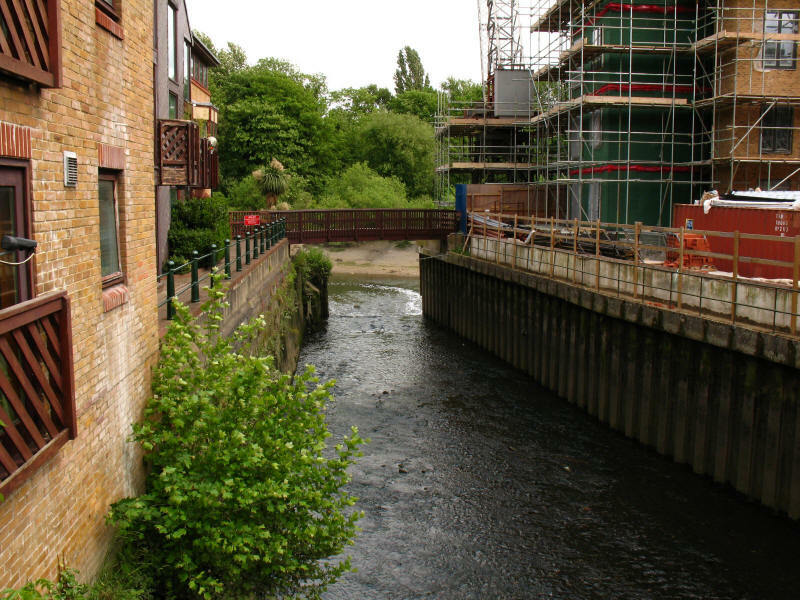 From Mill Bridge, looking down the Duke of Northumberland's River to the Thames. 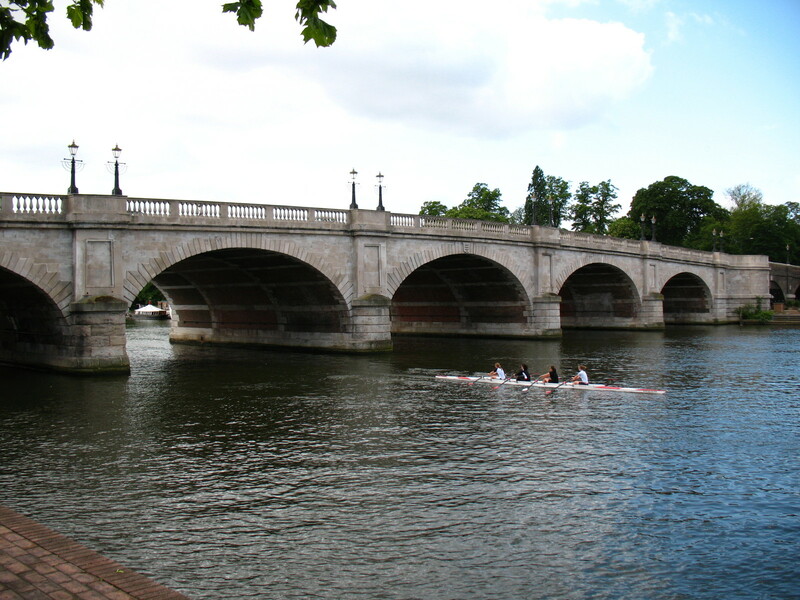 The Duke's River was made in the 16th century to provide water for Isleworth flour mill, and diverts water from the River Colne at Longford into the River Crane, and a second artificial section brings it here to Isleworth and the Thames. Part of the water also is diverted north to supply ornamental ponds in the grounds of Syon Park. 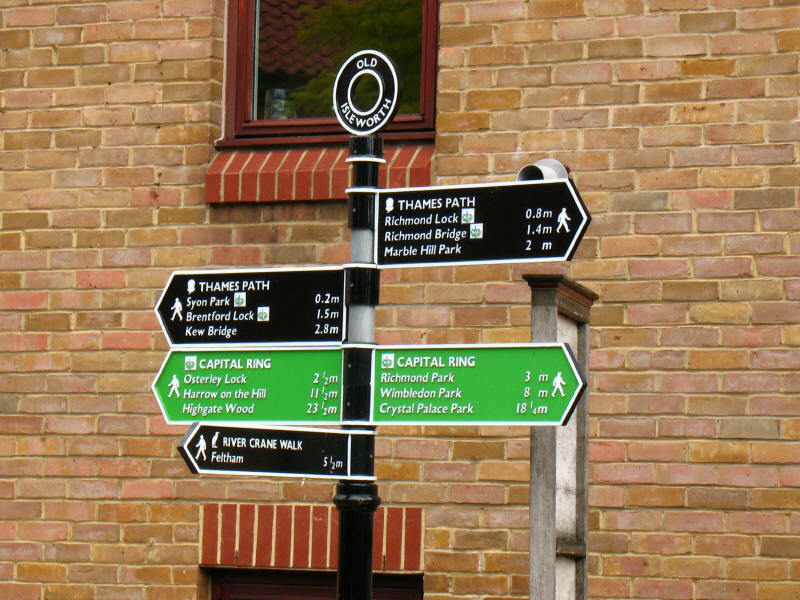 Passing through Old Isleworth, a sign confirms that we are still following the Thames Path and the Capital Ring, and that we are now leaving the River Crane Walk. 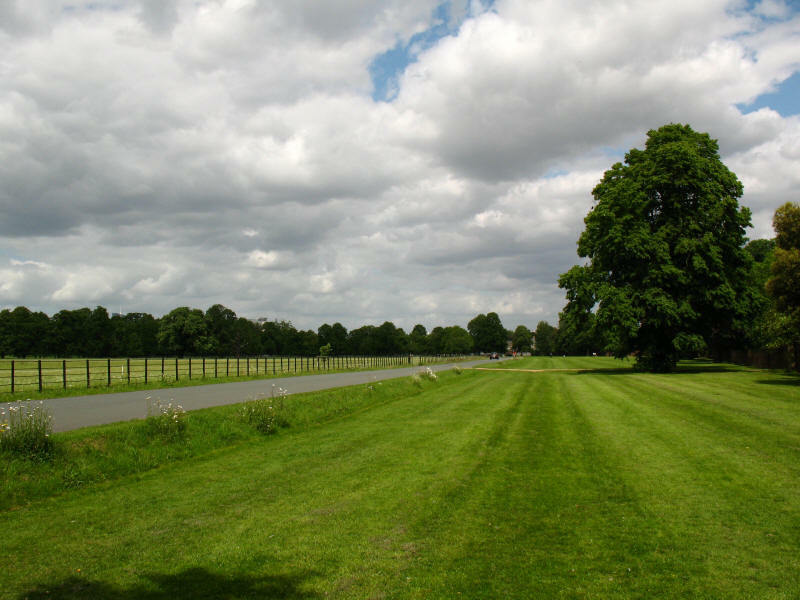 The Thames Path continues its route away from the Thames, passing through Syon Park, the grounds of Syon House. The 80 hectare park includes tidal meadows and over 200 species of tree. 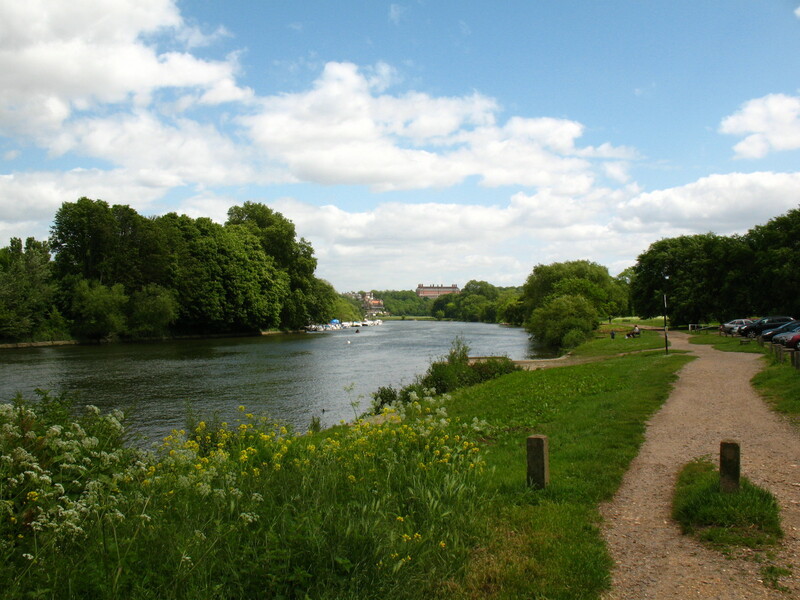 The park was the site of Syon Abbey from 1415, dissolved by Henry VIII in 1539. 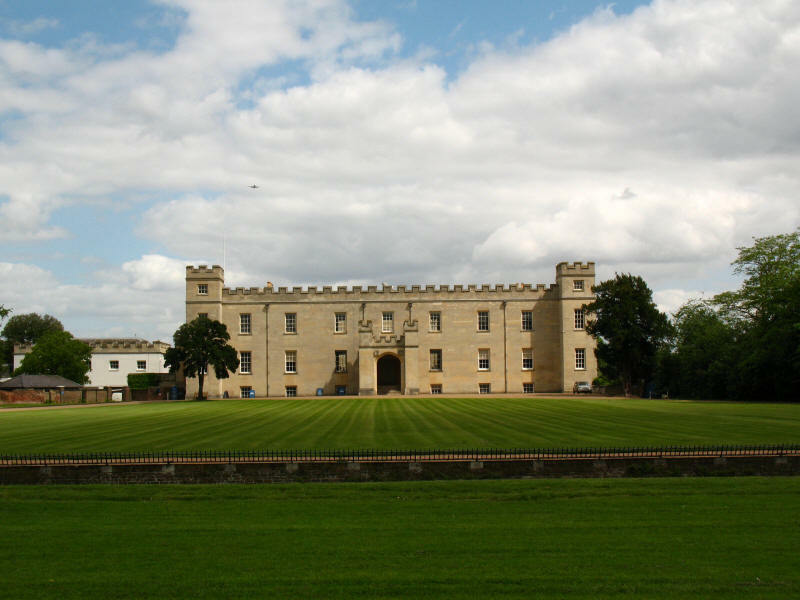 Syon House is the London residence of the Duke of Northumberland. It was built between 1547 and 1552 in the Italian Renaissance style for its owner the 1st Duke of Somerset, Lord Protector to young Edward VI. 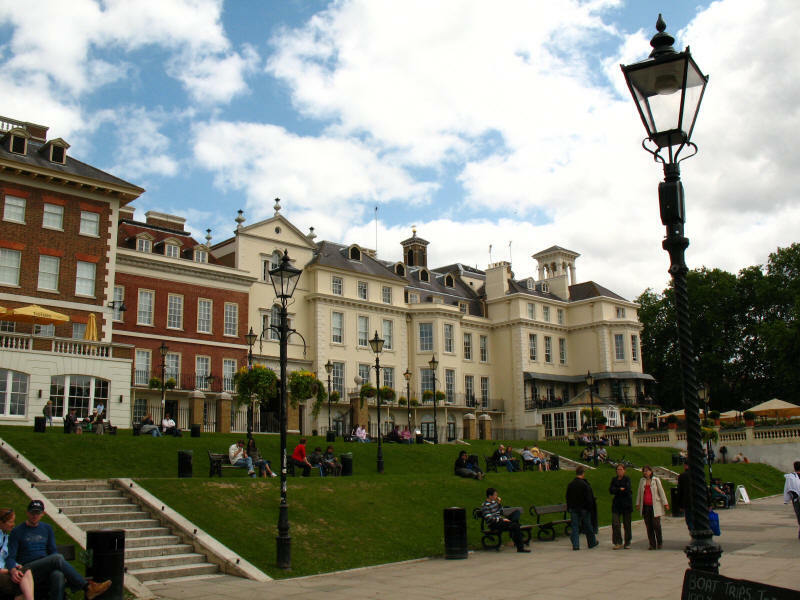 The interior was extensively remodelled in the mid-18th century. 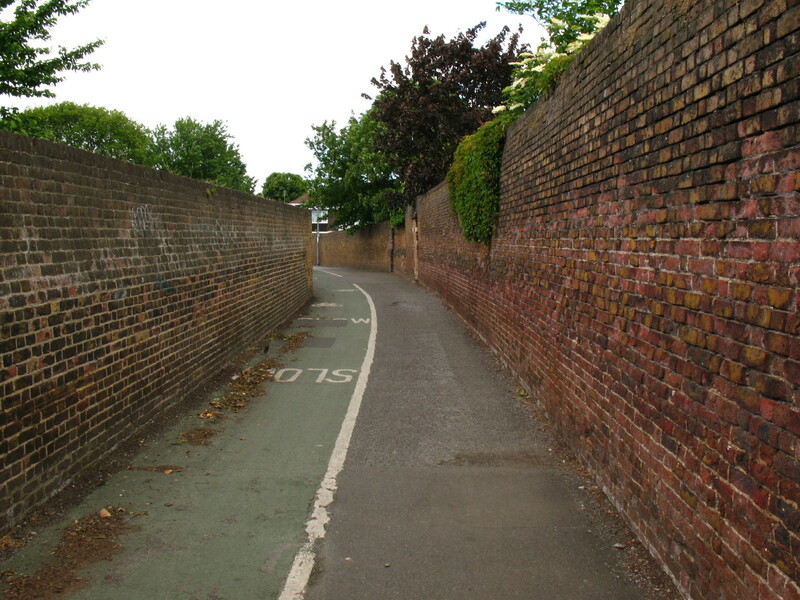 Rather confusingly, the route through Syon Park and along this alleyway is marked as a byway on the Ordnance Survey's 1:25 000 and 1:50 000 maps, but has gates which are locked at the southern end and here has notices banning vehicles, both of which appear to be inconsistent with that status. Either the landowners are taking liberties or the OS is wrong. 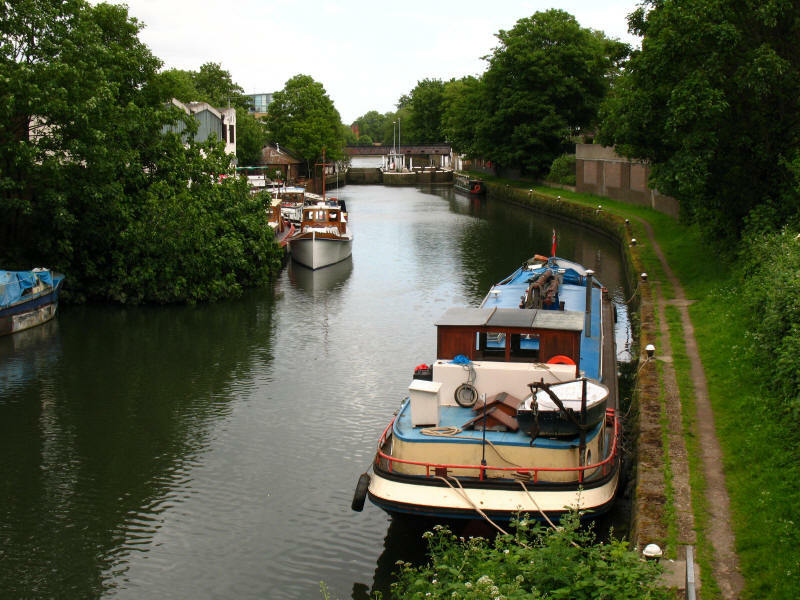 We emerged onto the A315 London Road, and reached the Grand Union Canal. 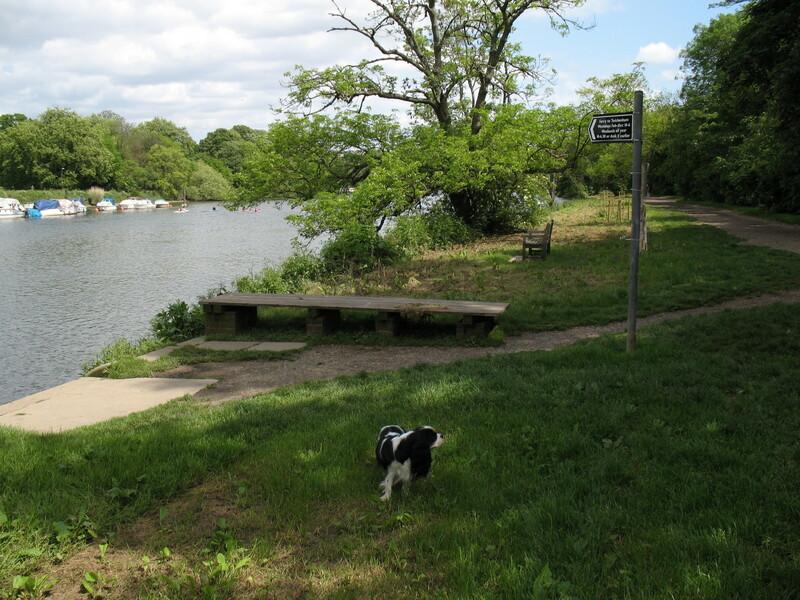 There we parted company with the Capital Ring, it going north-west to Osterley Lock, and us going east along the canal towards the Thames - we had already walked the next bit of the Thames Path last month, albeit in the other direction. 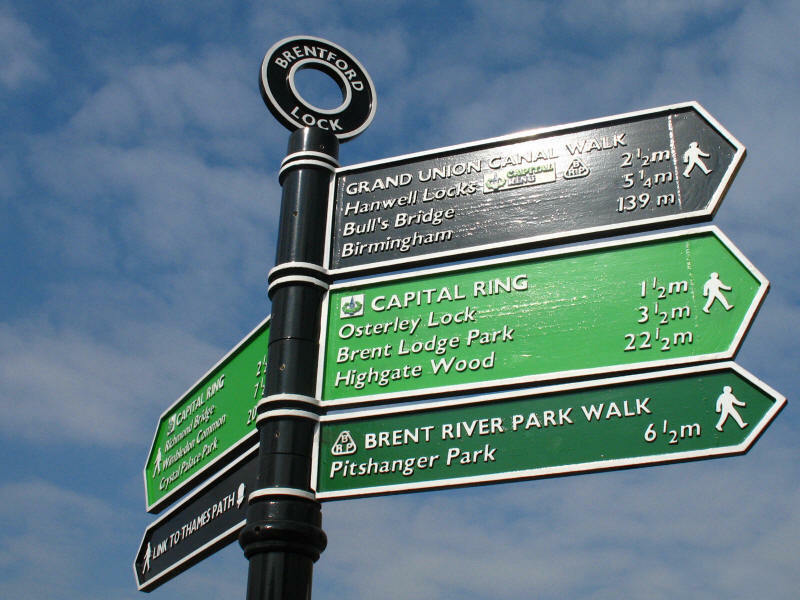 To continue along the Capital Ring, click the walker above, otherwise continue below for more along the Thames Path. 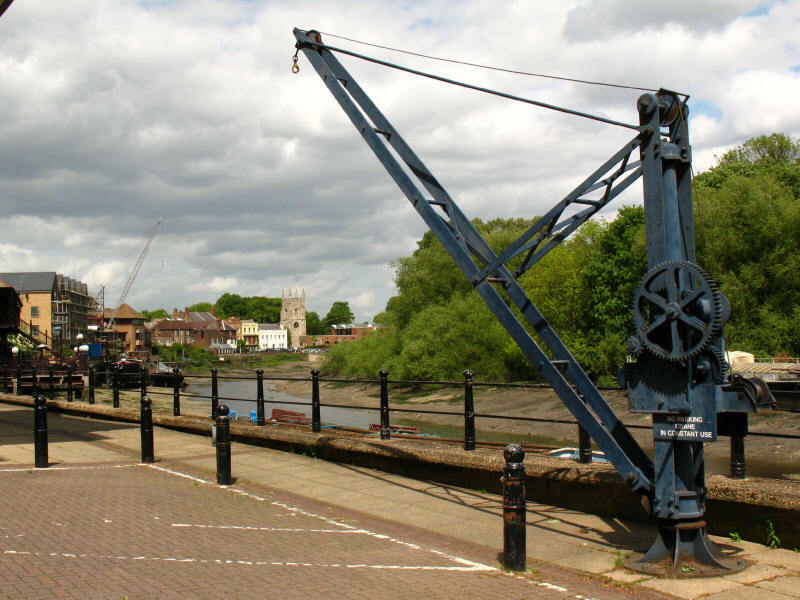 The Thames Path follows the Grand Union Canal, and here approaches Thames Locks. 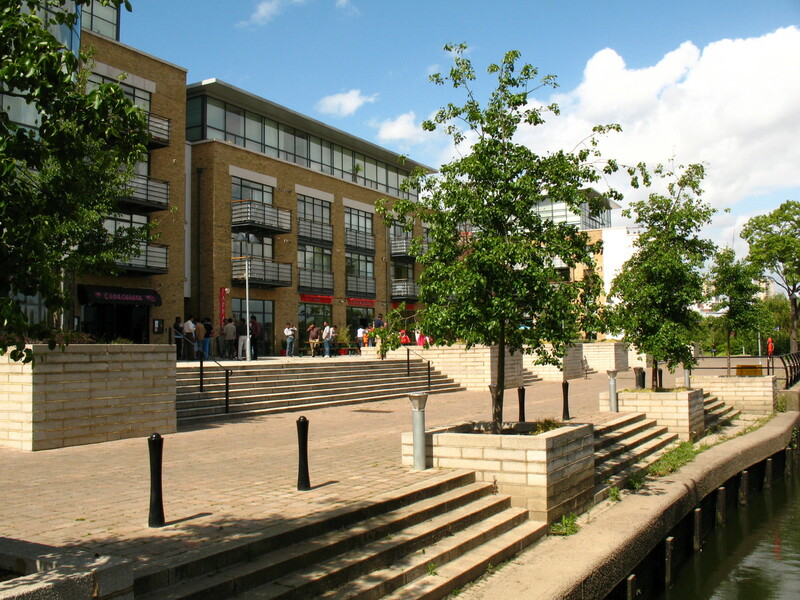 Lots of people were out and about at this new riverside complex of offices, flats, shops and restaurants. Walking along the north bank of the Thames, there are lots of houseboats. 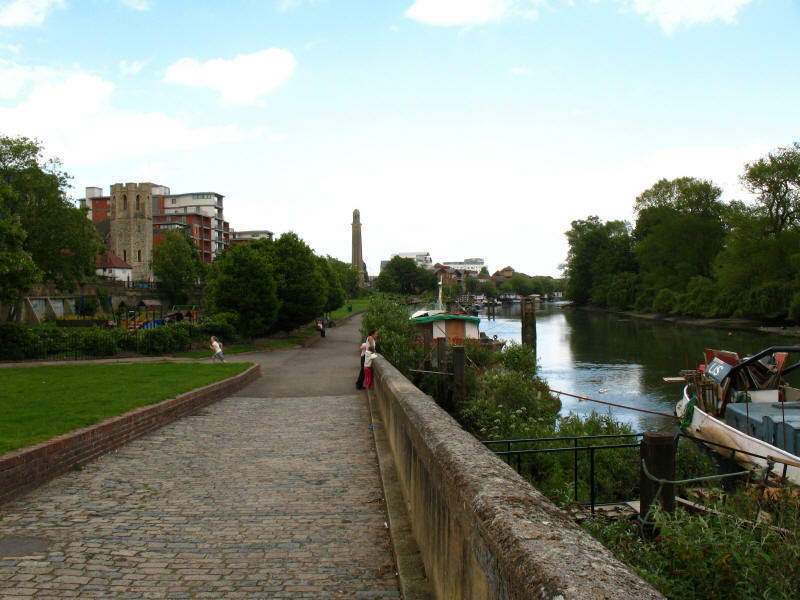 Ahead is the impressive tower of the Kew Bridge Steam Museum, where large engines once pumped west London's water supply. 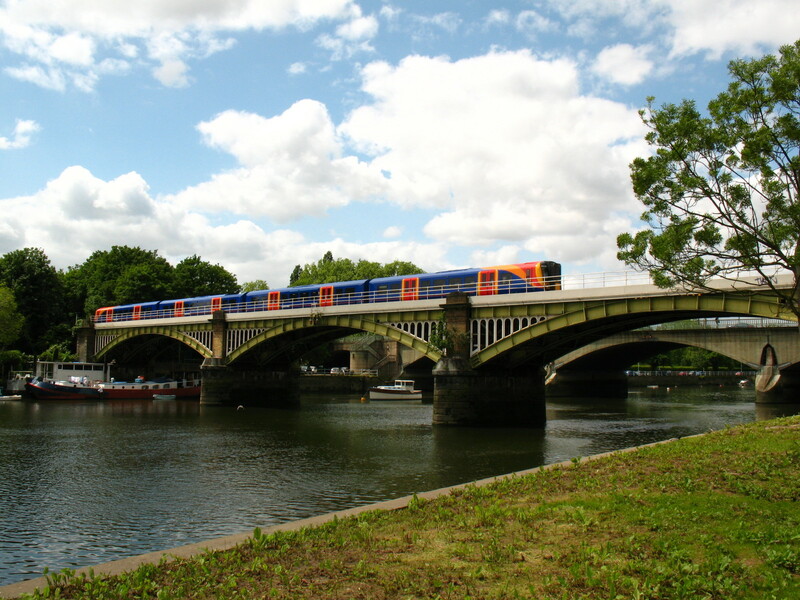 Nearly at journey's end as we cross Kew Bridge, looking downstream along the Thames which has suddenly sprawled remarkably, to the Kew railway bridge.